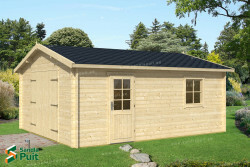 We produce garages and car shelters. The selection includes models with flat or gabled roofs. 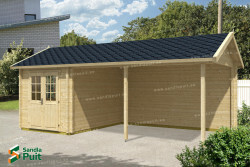 Garages can be equipped with traditional gate like doors or lift doors. Walls with thinner thicknesses can have only simple windows. In case of thicker walls higher quality insulating units may also be used. 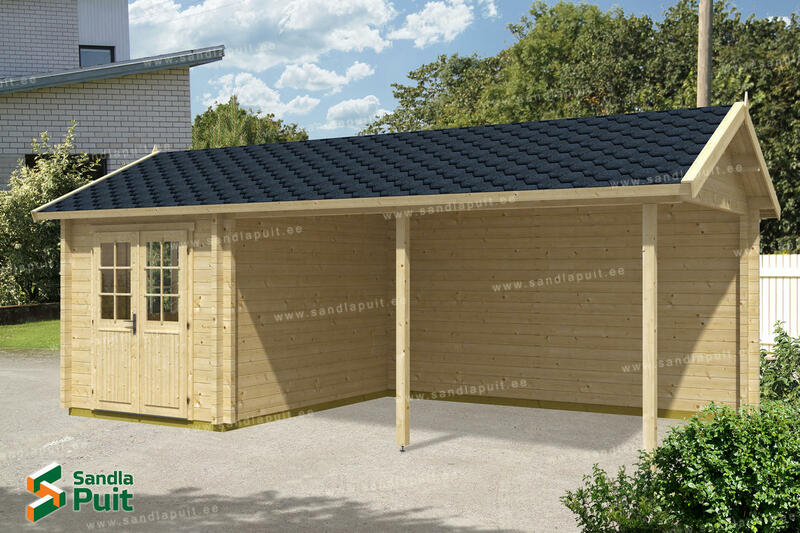 Garages and shelters are usually delivered without floors, if desired a wooden floor can be ordered separately. The selection also includes versions with awnings. If you have purchased an additional car or need to store larger garden tools and equipment then our garages A and B are highly suitable. Installation is easy and does not require much time.